SOLD in just 7 DAYS for WELL ABOVE ASKING!! Simplify your life in this slick spacious 1BR+flex pad at sought-after TAPESTRY in Fairview, a ROCK-SOLID CONCRETE building of stately design & luxury by acclaimed Concert Properties & Bosa Const. 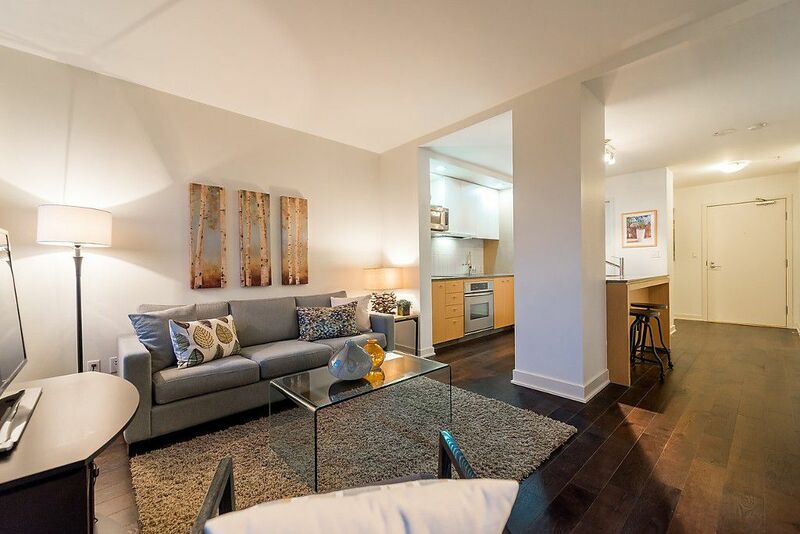 This bright, well-kept unit offers a smart open-concept floorplan w/9' ceil's, high-end finish, rich hrdwd & gourmet kitch w/stainless appl's & granite counters. Enjoy year-round BBQ's on your east-facing covered balc overlooking a QUIET tree-lined street (& bike route). With a park & VGH right outside your door & almost every imaginable convenience of the Cambie Corridor just steps away, this combination of product & location is simply unbeatable. 1 secure pkg + in-suite storage/flex. Pets/Rentals allowed. OPEN SAT/SUN May 21/22, 2-4pm.